What is a serviced apartment and how are they rated? A serviced apartment, as termed by the ASAP (Association of Serviced Apartment Providers), is a term used to describe a type of furnished accommodation available for short to long-term bookings, which provides amenities, housekeeping and a range of services for guests. A type of accommodation where most taxes and utilities are included within the booking fees. Hotel bookings are frequently made based on star ratings of quality standards, but serviced apartments aren’t graded in the same way. So how do you decide whether to make a booking with a certain serviced apartment provider? One option is to search customer or guest reviews on sites such as Tripadvisor, Booking.com, eBookers.com or a serviced apartment provider’s reviews on their own website. Based on feedback you can make an informed choice. 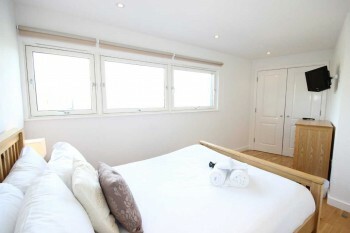 Another option is to look out for the ASAP quality marque on serviced apartment websites. Where the ASAP marque is displayed it means that the provider has been accredited and are compliant with core legal, health and safety practices. Providers have to adhere to an ASAP Quality Assessment thereby providing the industry with a means of measuring and comparing the quality of Serviced Apartments. Every ASAP member will have participated in the Quality Assessment Program and have successfully achieved accreditation. Cotels proudly displays the ASAP marque having achieved accreditation for the quality of serviced apartments provided. Our team of House Keepers not only keep apartments clean and tidy, but also report any damages or breakages to the management team so that they can be acted upon with a sense of urgency. We are proud of all the positive reviews we have received from our guests and where we have received constructive feedback we have acted upon this in a positive way. We respond to the guest whenever we become aware of feedback being posted. We are constantly investing in our business in order to offer guests a real ‘home-from-home’ experience while on business or leisure travel. Investment has also included more choice in how to book a Cotels serviced apartment (On-line, via agents, phone or e-mail).